Chris Hardwick hosting the third annual Red Nose Day in 2017. He will return to host the event for NBC in 2018. Emmy-winning comedian and TV personality Chris Hardwick (Talking Dead, NBC's The Wall) will return to host the fourth annual Red Nose Day Special May 24 on NBC. Since 2015, the annual Red Nose Day has raised over $100 million to help end child poverty in the United States and across the world, featuring some of the biggest names in entertainment to help bring awareness to the cause, along with fun themes and skits. Last year's event memorably saw most of the cast of the classic romantic comedy Love Actually brought together in a modern-day, Red Nose-day themed follow-up short film directed by Richard Curtis, the original film's director and the creator of Red Nose Day. At 8 p.m. ET, top celebrities will compete in Celebrity Ninja Warrior for Red Nose Day, where they will be pushed to the limit in grueling physical challenges all to raise money for the cause. Then, at 9 p.m. ET, two teams of stars will face off on a special Red Nose Day edition of Hollywood Game Night, in which they will take on classic HGN party games that test their pop-culture IQs. 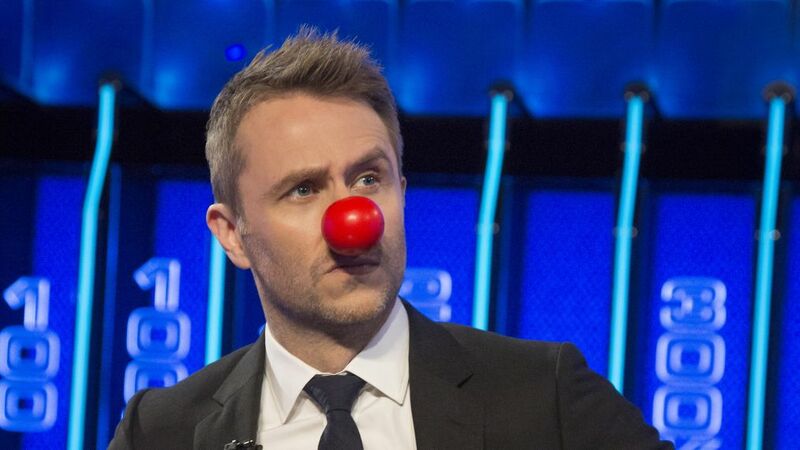 The Red Nose Day Special hosted by Chris Hardwick will close the evening at 10 p.m. ET. The charity editions of Celebrity Ninja Warrior and Hollywood Game Night will feature live check-ins from Hardwick throughout the night as he gears up for the main special, broadcast live from New York. More participating talent for that special, and the other themed episodes, will be announced at a later date.